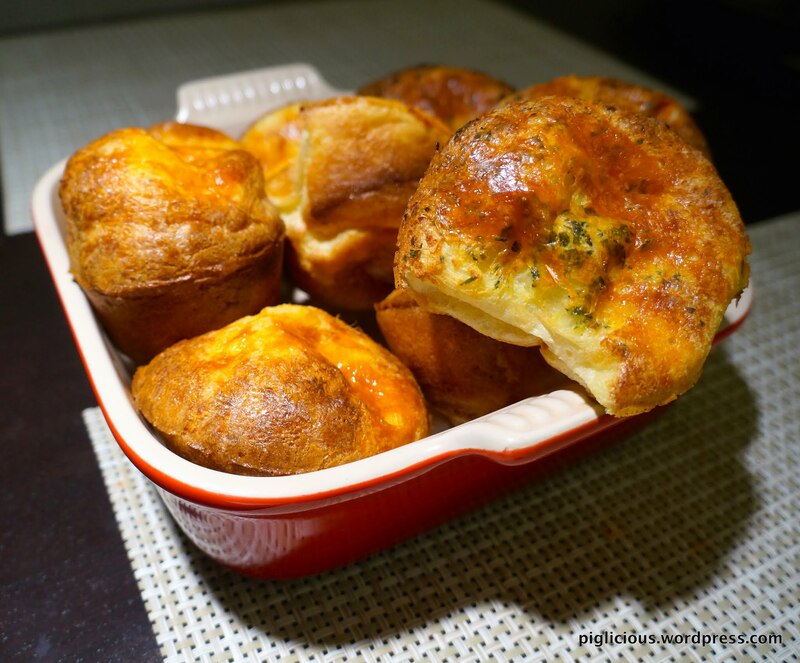 A couple of weeks ago, I dined at a restaurant with friends and they served popovers instead of bread as starters. 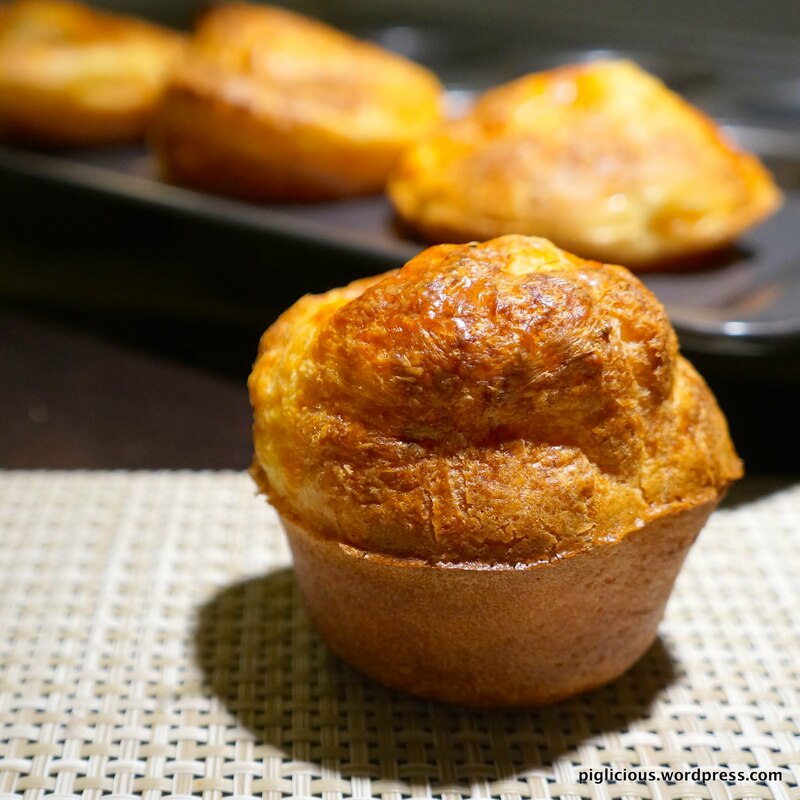 The popovers were lightly crisp on the outside and soft, fluffy, and eggy on the inside–Reminded me of a combination of soufflé and mochi bread. 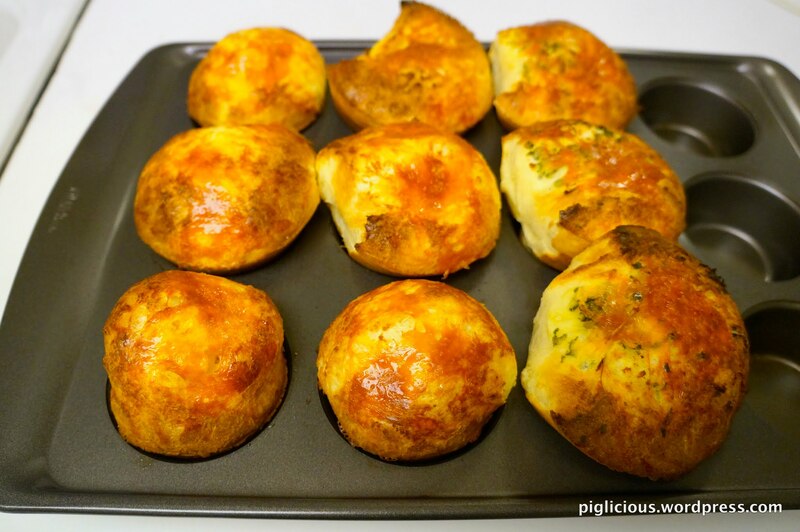 They were so delicious, and quite frankly I was mind blown that it was the first time that I had ever heard of popovers! The very next day I started researching for a good recipe and came across Chef John’s recipe on Allrecipes.com. 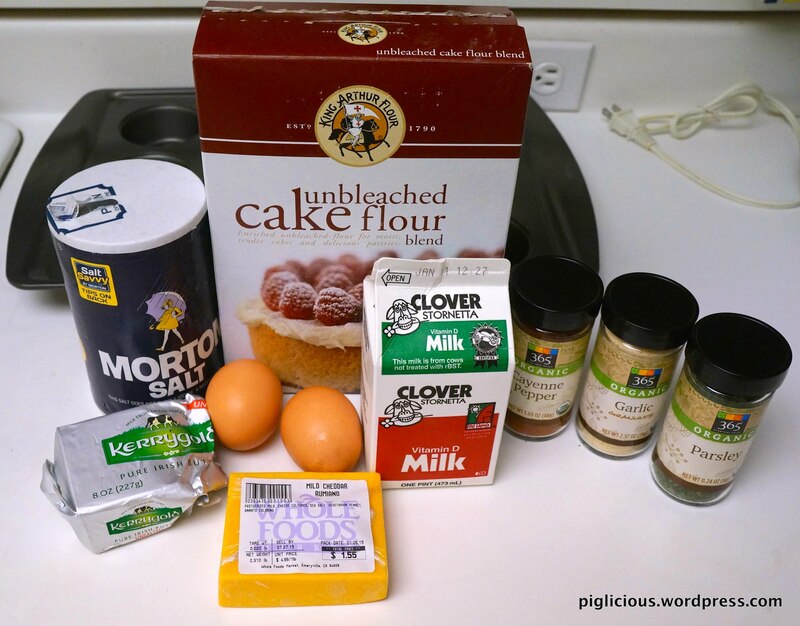 The recipe seemed pretty easy and had many positive reviews, so I decided to try it out. After I made it the first time, I decided to experiment and make different flavors. Here is my version of the recipe with my personal tweaking. 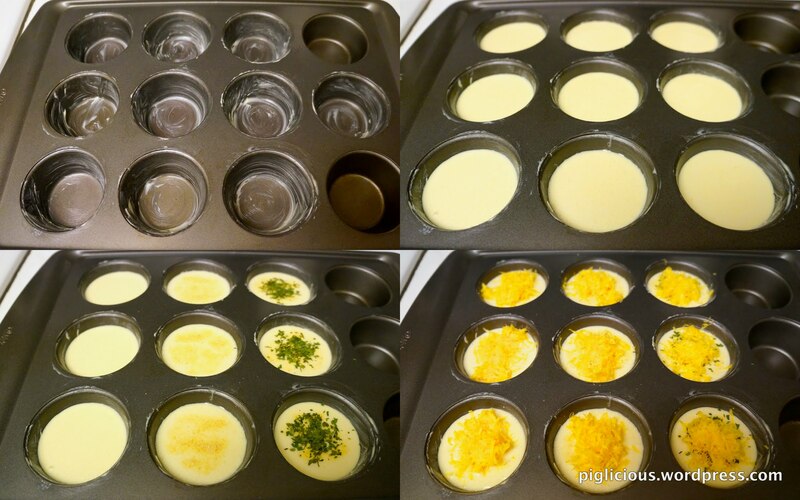 Grease the muffin tins with butter. 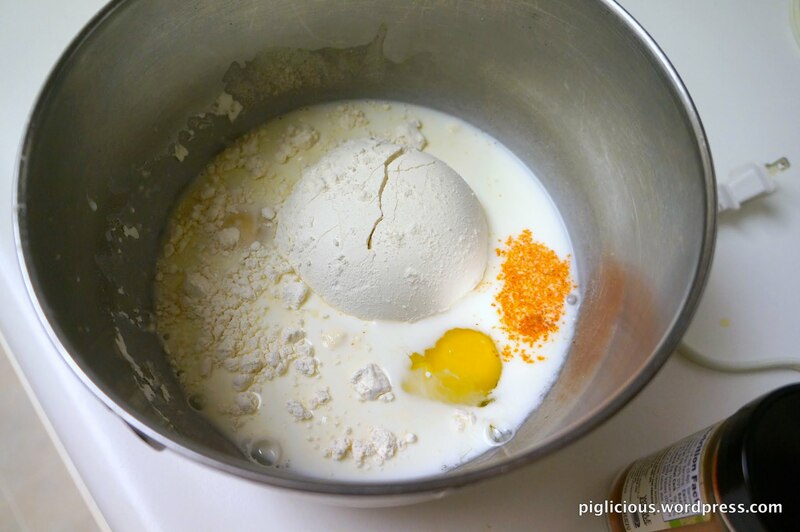 Place the eggs, milk, flour, salt, and cayenne pepper together in a small mixing bowl. 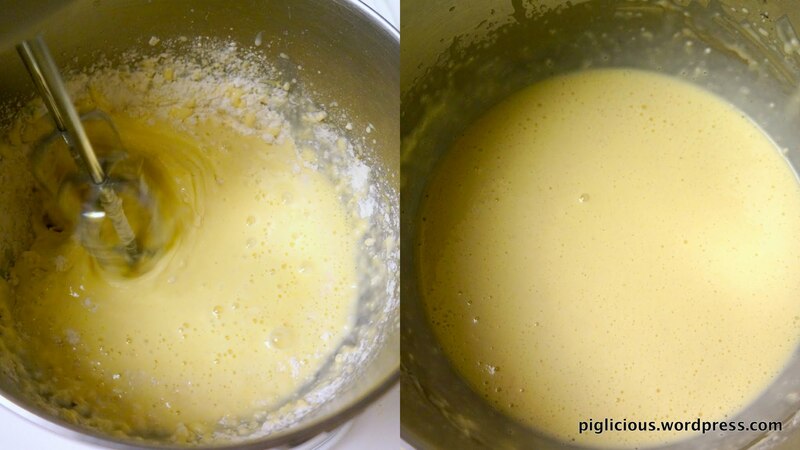 Whisk with a hand mixer until smooth. You may need to manually mix in the sides. 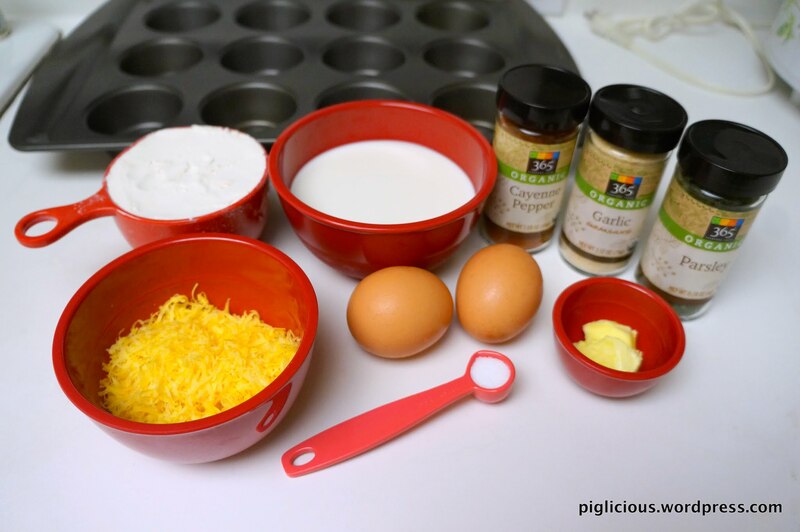 Pour the batter into each of the muffin tin, filling them about 3/4 of the way up the sides. The first row (from left to right), I sprinkled about 2 teaspoons of grated cheddar cheese over each of the batter. The middle row, I sprinkled about 3 pinches each of granulated garlic, and added about 2 teaspoons of grated cheddar cheese over each of the batter. The last row, I sprinkled about 3 pinches each of parsley, 3 pinches each of granulated garlic, and then added about 2 teaspoons of grated cheddar cheese over each of the batter. Place the pan in the cold oven (not preheated), and turn the heat to 450F. Bake until puffed and well-browned. For me, they took 23 minutes to bake. The parsley/garlic/cheese combination is my favorite. Enjoy!